Technology is one of the fastest-growing and dynamic industries in the US. It touches almost every aspect of business, and due to a collection of factors, the technology industry has begun to hire more MBAs than ever before. In fact, some schools like the University of Washington Foster School of Business and the University of California, Berkeley Haas School of Business have sent more of their MBA grads into tech than finance. It’s an interesting shift considering that neither Google’s Larry Page, Amazon’s Jeff Bezos, Facebook’s Mark Zuckerberg, or Microsoft’s Bill Gates has an MBA. And the one technology leader, Sheryl Sandberg, Facebook’s second-in-command, who does have an MBA from Harvard Business School, famously went on record saying that her degree wasn’t necessary for a career in tech. So, why is there a growing tide of MBA students in the US looking to use the MBA as a launch-pad into a career in tech? Why Do MBAs Want to Work in Tech? 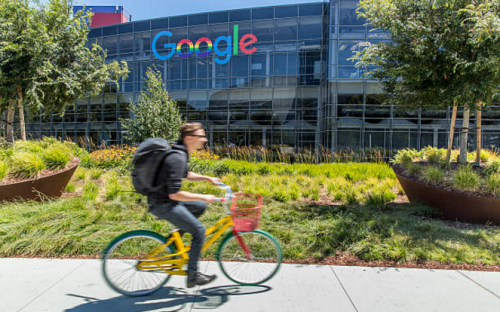 In a 2017 Universum report, out of the top five most desired employers by business students in the US, three were technology companies: Google (#1), Apple (#3), and Amazon (#5). But that only touches the surface of the tech industry. Technology is pervasive throughout the business world. It’s for this reason that Anirudh believes technology has become such a popular outlet for MBAs. Technology can be found within every business and organization whether it’s the creation of autonomous driving within the energy industry or using technology to cure diseases. And the good news for MBA graduates is that tech companies have started looking toward MBA programs for their new hires. So, it’s an industry where jobs can be found. According to a Poets & Quants report, over the last five years, Amazon has hired 445 MBAs from just six elite MBA programs, Google 199, and Microsoft 222—and that’s only counting graduates from Chicago Booth, Northwestern Kellogg, MIT Sloan, Columbia, Michigan Ross, and Duke. Overall, the average increase in MBAs headed into the technology industry last year was 4.71%—a positive job growth outlook. It’s for this reason that many top MBA programs have begun to modify their curriculum to reflect the new tech industry focus. Last year, 52% of Foster MBA graduate students accepted a job in the tech sector, and a lot of that has to do with not only the school’s location in Seattle—home to Microsoft, Amazon, and T-Mobile—but with the school’s coursework. But it’s not just inside the classroom where MBA students are seeing the shift toward tech. Outside of academic courses, MBA students can find workshops on software or discussions with alumni in roles such as product management. Babson students then mix this foundation course with other core classes in marketing or business analytics, so that they can tackle management issues within any technology or science enterprise. Its this mix of skills that can make MBAs most valuable to technology companies. However, the most important skills for working in the technology industry are not necessarily what one might think. Anirudh agrees. He feels the most important skills are those that encourage a student to ask questions and conduct experiments when they don’t know the answer. To be successful in tech, you don’t have to understand everything, but you have to be willing to learn quickly and to know how to ask the right questions.